Dealing with acne can be stressful and inconvenient, whether you are a teenager or an adult long past puberty and your adolescent years. 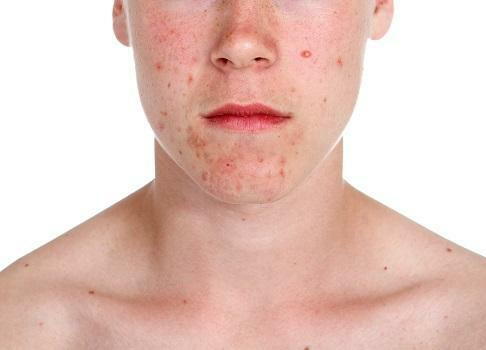 There are several factors that can trigger acne, and many misconceptions about what causes it and how to treat it effectively. Dr. Lynn Anderson, a dermatologist at Midtown Dermatology in Tulsa, OK, recommends working with a skincare professional to get a personalized evaluation and recommendations for the best products, cleansing practices, and acne treatments for your particular skin type and lifestyle. You've probably heard that eating your favorite chocolate bar, or stressing out about finals or a big presentation at work is to blame for your acne and skin problems. While factors like diet and stress can affect the overall state of your health, which often manifests on your skin, acne and breakouts begin when your pores or hair follicles become clogged with dirt and oil, causing inflammation and blemishes. Treatment for your acne and skin problems will depend on factors like what is causing it, your skin type, and lifestyle factors. For example, hormone fluctuations during pregnancy or menopause can affect a woman's skin and cause acne. If you have a naturally oily complexion, you may be more prone to breakouts and blemishes. Working with a dermatologist and developing a good skin care routine at home are the first line of defense. Because acne can lead to scarring in some cases, it is important to use the right products and cleansing techniques for your skin. Avoid the urge to pick at your acne or to squeeze or "pop" pimples, which can increase the risk of scarring. The American Academy of Dermatology recommends keeping your skin clean to prevent oil, dirt, and dead skin buildup that can clog your pores, especially after sweating. Pay attention to how your skin reacts to certain foods and products, and make adjustments if something irritates your skin. For more information about effective acne treatment and to find the skin care routine that is best for you, contact Midtown Dermatology by calling (918) 728-3100 to schedule an appointment with Dr. Anderson today.